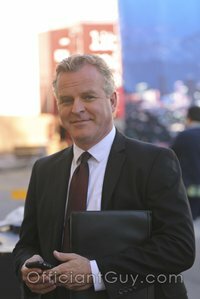 I have had the good fortune to be a popular wedding minister in Los Angeles County for several years. I have and I have performed many religious wedding ceremonies and civil wedding ceremonies numerous Inland Empire Wedding Locations. Some of those weddings have been at the beautiful and historic Lindley-Scott House. The historic Lindley-Scott House is open year-round for personalized weddings and wedding receptions. Southern California weddings cannot get better and more elegant than at this historical mansion with four acres of gardens, a lush rose garden, and portico. A beautiful wedding ceremony and reception await you at the Lindley-Scott House. The Lindley-Scott House and grounds are maintained with an eye to its historic past. Gardens, rockwork, driveways, and the house structure itself have been kept in a way that maintains the integrity of its 1911 origin. Everything you’ll need for a stylish reception is included in your wedding package. 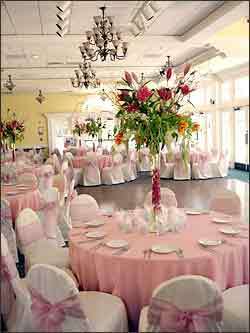 Your memorable wedding ceremony and reception can be attended by as many as 200 guests. This Los Angeles wedding minister is always pleased to have an opportunity to officiate a wedding at the Lindley-Scott House. Currently, you can choose between two unique locations for your wedding ceremony or your wedding reception. The first area is the front lawn with its expanse of lawn and trees. This wedding ceremony area features a very interesting and majestic cypress tree along with a very large California Live Oak. 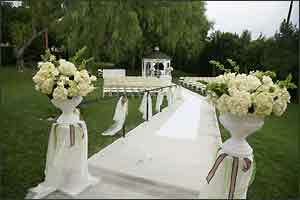 The lawn area is designed in a way that permits brides to arrive by horse-drawn carriage or antique automobile. The second wedding area is located adjacent to the Carriage House and has a lovely gazebo surrounded by lush view by hedges. If you contemplating the site of your wedding ceremony or reception in the San Gabriel Valley or anywhere else in Los Angeles County or Orange County, the Lindley-Scott House Weddings offers a wonderful venue for your consideration. 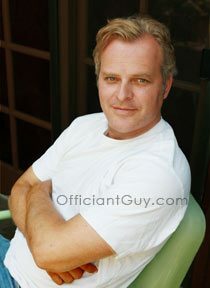 And if you would like your wedding minister to be one of the most popular, professional and experienced wedding officiants of all, please consider the Officiant Guy be your wedding officiant.